The famous digital media company, DivX and LG have jointly announced the new LG Viewty camera phone (LG-KU990), which is the first cellphone with DivX Certification to natively capture video using high quality DivX format. This newest LG Viewty smartphone features an 3-inch touch sensitive screen, 5-megapixel camera (certified by Schneider-Kreuznach) with auto/manual focus, image stabilizer, ISO 800 as well as SmartLight technology, which enable the users to adjust the brightness level of captured images. 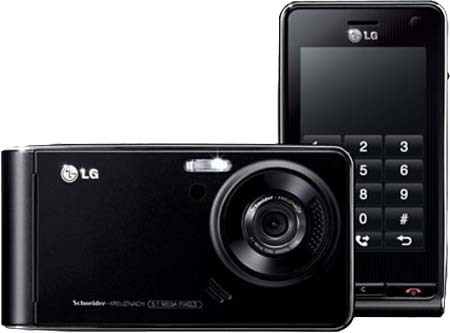 According to the global leader and technology innovator in consumer electronics, the LG Viewty camera phone is able to record high speed 120 fps (frames per second), VGA resolution (640 x 480 pixels) video in DivX format.